Digicel’s first Valentine’s Cash Giveaway Promotion winner has been announced as John Parker from Kokopo, East New Britain. The 56-year-old won K1, 000 from Digicel by simply buying a data plan through short code *777#. The promotion began on February 1, and will see K14, 000 in prize money given away to 14 lucky winners until Tuesday 14 February. John Parker said he was shocked when he received the call from Digicel notifying him of his win. “Thank you Digicel for the prize money. And keep up the good work,” he said. Mr Parker said the prize is a very generous Valentine’s Day present. He will let his wife decide how they spend the prize money as she was the person who answered the phone call from Digicel. Digicel Managing Director, Mobile, Shivan Bhargava said the Valentine’s Cash Giveaway Promotion was proving to be a hit among customers. “This Valentine’s Day promotion has been very popular and it’s great to see our loyal customers being rewarded during the month of love,” he said. Entering the promotion is simple. All you have to do is dial *777# and buy any Digicel data plans such as a daily, weekly or monthly plan. When a data plan is purchased, a customer’s number is automatically included in a daily draw. Customers are encouraged to enter as many times as possible to increase their chances of winning. Winners will be notified of their success via a call from Digicel between 9am and 12pm each day. 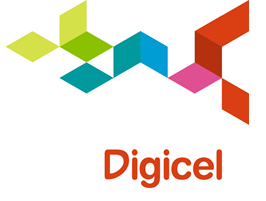 The promotion, which ends on Tuesday 14 February, is open to Digicel prepaid subscribers only.